We are a warm spell that comes in a relentless winter. We are the sun with all the different kinds of light. We are wind. Doves, when they all coo, where, are looking for us. Nightingales and parrots change their perches hoping to be nearer to us. Word of us reached the fish. They swerved and leapt. Waves from that stirring keep coming in. We have come out of slavery with bales of sugarcane. The sweetness of how we talk together is what we crush and bring the world. 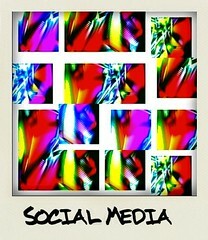 Now facebooked, twittered, blogged, and linked-in, I am ready to review and develop an actual Social Media Strategy (SMS). Not to mention, of course, that my clients are not far behind and need a framework themselves for how SMS fits within their overall business plan strategy and implementation. Social Media has been around in one form or another for a relative while of course, but now it is to the point where it is just impossible for business owners to ignore. The truth is SMS models are developing as we speak / blog. I don’t see that anybody will have “the” answers or the perfect model for quite some time, but ignoring Social Media is not a strategy. Welcome to the world of learning while doing –this also includes the world of “I don’t know the answer to that right now.” Get comfortable with it. I could go off on a tangent here about how perfect that is for balancing ego -humility is a great equalizer! -but, I promised a post about the components of a decent SMS and some best practices. There are so many avenues (portals) of Social Media that unless you target and measure the mix that gives you 1) a decent R.O.I. 2) a projection of your particular business vision into the world and 3) fun –you could get really, really frustrated. ~Assess your target audience and your goals as they fit within your overall business strategy. ~Articulate your message to boost brand equity and strengthen your reputation as an expert and industry leader. ~Understand the time commitment to create your campaign and maintain it. ~Choose the right tools for your needs and customize them. ~Ask for advice and opinions, and share them in return. Nurture relationships. ~Create education-rich content that adds to the conversation. ~Establish measurements to track the effectiveness of your efforts and to maximize your Social Media Marketing ROI. These are great and fit well with The Social Media Bible’s suggestion of thinking of your Social Media Strategy (SMS) as a platform supported by four pillars 1) Communication 2) Collaboration 3) Education and 4) Entertainment. These four pillars can be considered your Social Media Best Practices and it is good to have all four in order to stabilize your platform. Can Spirituality, Twitter, and a War to Make Money Go Together? Last week I went to the new Barnes & Noble in Houston with my husband. As we turned onto West Gray we wondered if this B&N would have a Starbucks in it like most B&N’s given that there are already two Starbucks across the street from each other at this particular end-of-the-world. The corner of West Gray and Shepherd is a triple threat – there are now three Starbucks less than a block’s distance from each other – interesting strategy. Speaking of strategy……I went to B&N looking for a book on Social Media that focused on integrating social media into a business plan strategy. It was the right day to go – the very helpful sales associate was in the process of creating a special display for all things Social Media. While I sipped my triple, vanilla Cappuccino (I can’t help it) he shared the list of books planned for display – over 50 titles. I chose The Social Media Bible because not only did it give a great overview – it had a strategy focus plus information on metrics – perfect! Because here’s the thing – there are so many avenues (portals) of Social Media that unless you target and measure the mix that gives you 1-a decent R.O.I. and R.O.E. (Return on Your Energy) 2-a projection of your particular business vision into the world and 3-happiness –you could get really, really frustrated. Considering the strategic point of purity and projection in Social Media is an interesting inquiry (and one that I am in myself). My next post will be a quick overview of the components of a decent Social Media Strategy and a few Social Media Marketing Best Practices. In the meantime, remember this: Social Media provides portals into unique subsets of an infinite universe – choose a finite number of portals wisely. Speaking of infinity……my husband I were wondering, can an infinite number of Starbucks fit into one city block? Here is a great video on Social Media R.O.I. — it points out the potential for high R.O.I. as well as the cost of doing nothing. There is somewhat of a mixed message with statements leading to R.O.I. not being important — the missing link is strategy, but the video remains an inspiring message. Social Media is defined as activities, practices, and behaviors among communities of people who gather online to share information, knowledge, and opinions using conversational media*. There has always been a strong relationship between traditional media and business, but the new Social Media realm can occur as disruptive –a sink or swim proposition. The fact that the “which” and the “how” of a strategic approach has no commonplace baseline can be overwhelming and frustrating –at the same time there is a beauty in the vastness and budding nature of Social Media that provides a perfect scenario for creativity on a level playing field. There are an emergent set of commonplace media portals (activities) that entrepreneurs and businesses are exploring —FLYT activities (Facebook, LinkedIn, YouTube, and Twitter) are a “toe in the water” approach to the boundless ocean of Social Media possibilities. Easy to set-up and explore, FLYT provides the confidence to determine the next steps in a smart Social Media Strategy. Facebook is used by 350 million people and provides a mini website for your business where you can share photos, video, and messages within a social framework. This platform is about community. This powerful and free relationship tool signs up 600,000 new users every day. LinkedIn connects 50 million professionals representing every company on the Fortune 500. Online profiles build credibility by articulating your value proposition, conveying information about your people and organization, and displaying your credentials. Fifty percent of participants are decision makers; eighty percent are college graduates and the average age is 41. You can join groups and communicate with a laser focus on your target market. YouTube boasts one billion views per day, and is second only to Google as a search engine. Twitter is a microblog that people use to follow their friends, and companies use to market their product or service. Tweets are limited to 140 characters, about one sentence. People use Twitter to follow friends, and companies use it to promote their product or services by sharing new information and helpful links and building credibility. Perception of Twitter has evolved from a fun indulgence to a key communication tool with the power to impact global politics. So, get started, share the love, apply Social Media Best Practices (Communication, Collaboration, Education, Entertainment) and you are well on your way to gracefully navigating the Social Media Ocean. See schedule of Springboard Works public workshops in Houston on Facebook, LinkedIn, YouTube, and Twitter –use code RUBY for a $10 discount when you sign up!